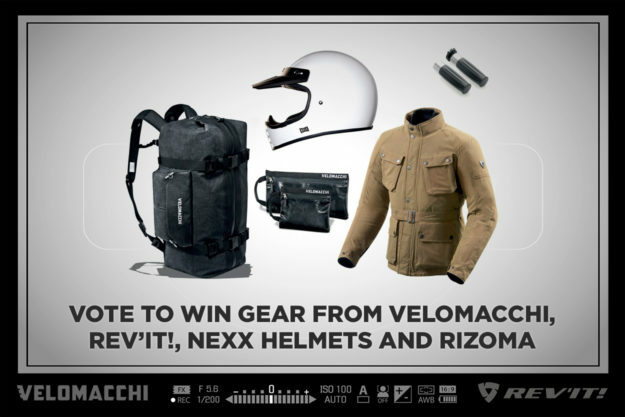 It takes just a couple of minutes to vote for the best images in our photography competition, and you could win high-end gear from four top brands: Velomacchi, REV’IT!, NEXX and Rizoma. 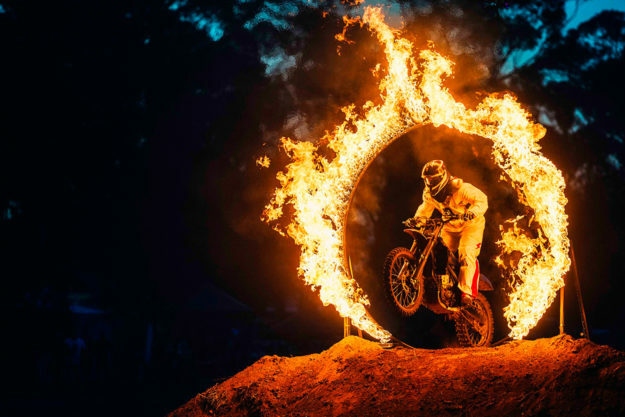 After sifting through almost a thousand images from hundreds of entrants, we’ve picked out the ten best professional and privateer shots sent in. And now it’s your chance to win gear. Velomacchi Speedway 28L Backpack and Speedway Impact Storage Case, a REV’IT! Halo jacket, a NEXX XG100R helmet, and Rizoma Tapered Handlebars. Total Value c.$1,160. Velomacchi Speedway 40L Backpack and Impact Laptop Sleeve, a REV’IT! Trench GTX jacket, a NEXX X.WED helmet, and a set of Rizoma universal fit Eccentrico Mirrors. Total Value c.$1,870. Velomacchi Speedway 50L Travel Duffle Hybrid and Speedway Tool/Med Pouch, a REV’IT! 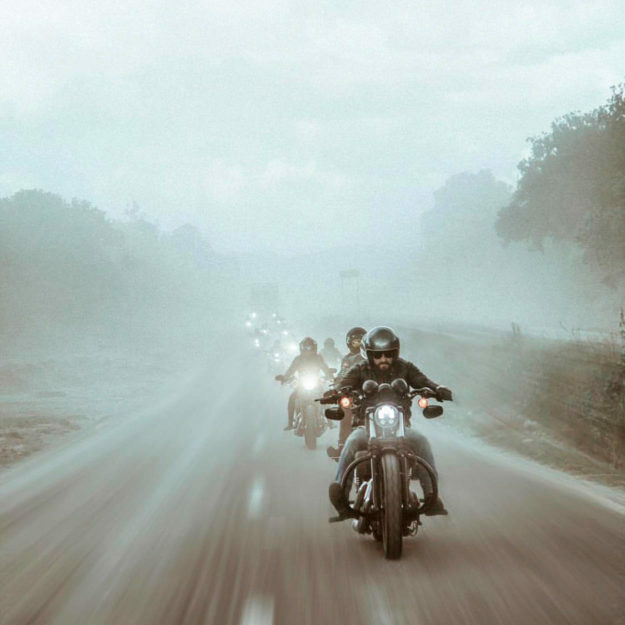 Livingstone jacket, a NEXX XG200 helmet, and a set of Rizoma Legend handgrips. Total Value c.$1230. Voting closes at 11:59pm PST on December 19, 2018 and we’ll announce the winners via our social media accounts on or after December 21, 2018. A very nice Christmas present for three lucky winners!